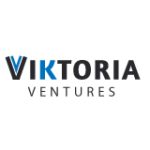 ViKtoria Ventures is a Kenyan company that is helping early-stage companies obtain seed funding from angel investors and forge networks necessary for growth. We do this through angel events held every two/ three months where we invite angels and potential angels to listen to promising startups we have worked with. Our aim is to have the angels finance, mentor and/ or make key business introductions for the startups. The angels also get the opportunity to learn through various technical training sessions geared towards early stage investment which are part of the events. The events are led by experienced angels and practitioners in early-stage investing. What do you need to get started as an Angel Investor? Please how do I get funded by your firm. Together with Standard Lesotho bank and L.N.D.C towards the capital of phase 1, estimated M 5 million whereby the company is required to put forward 2million equity. I’m Nigerian. Can I apply virtually? This is a promising company. Is there a portfolio of early-stage companies?